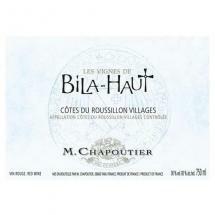 In this episode, Rob and Scott review a wonderful wine from Languedoc-Roussillon, France, in M. Chapoutier Bila-Haut. Further, the wine inspires an expanded discussion of French food and wine, as the show gushes about France’s culinary culture. Will the show illuminate the virtues of France, or will they mention that the food uses copious amounts of butter and will lead to your death? We shall see…on The Wine Vault.